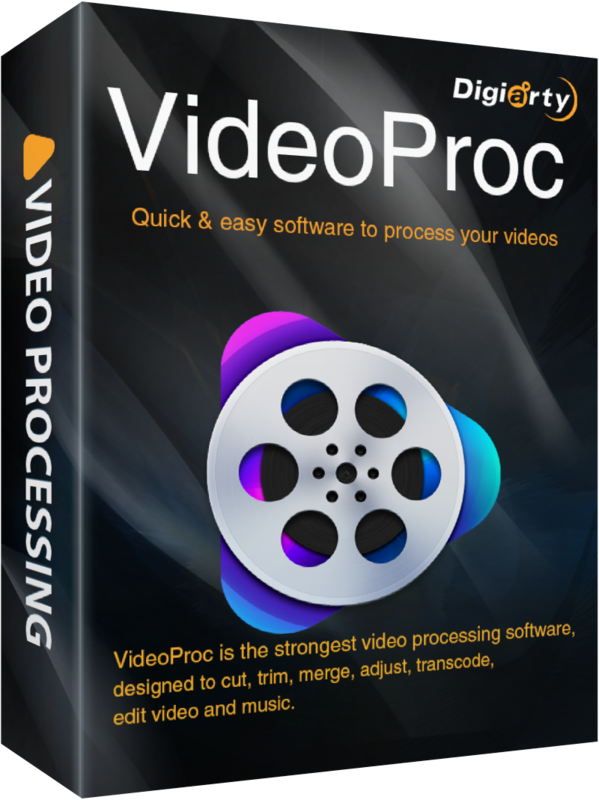 WinX DVD Copy Pro 3.9.1 was available as a giveaway on January 31, 2019! How would you improve WinX DVD Copy Pro 3.9.1? It's a wonderful Software to backup all like 100% original from Store Copy. any in particulate effort or learn so everybody are the Expert at all. It work pretty fast regardless of size and never shows any error but copy in 100 %. fantastic well technically made Software and never feels sorry. It's a wonderful Software to backup all like 100% original from Store Copy. It's in reality priceless Software I ever have to do the Copying job so easy and fast without any in particulate effort or learn so everybody are the Expert at all. It work pretty fast regardless of size and never shows any error but copy in 100 %. I suggest to anybody havin some pricey CD/DVD disk own or Family records and want to save for life to try this fantastic well technically made Software and never feels sorry. I got this software from "Giveawayoftheday" as free Retail Program Licensed but, now in next March when I got my Retail Social Security check to go and get the Software with Life Update to keep this program life and ready with all updates. It's worth every penny! Looks great - just what I needed! I'm a bit confused, though. After installing, it said that this is a registered copy. Nothing is popping up, nor is there any kind of "about" info where I can insert the license number you gave. I guess I shouldn't complain? Thanks very much for this great program from a great company! Easy to use--fast--does the job. I did not have to input my License key - when I ran the program, it said - "already registered"
I did not have to input my License key - when I ran the program, it said - "already registered" When I checked the date, it was 9th Jan, 2019 Anyone else have a similar experience? Thank you for this free gift. I just downloaded, installed and activated WinX DVD Copy Pro on my PC. It's easy to find license code in the zip file. Glen, That's not how it works. Go to the registration page and hit "Get License". Open the zip file. Have always found the WinX products to be great. Had no problems with download, install, or license. Thank you WinX and GAOD for making this product free for us. Wonderful for those of us on limited incomes have programs that we need and also great for those who want to try out a program before they buy. Again, thanks. This is a common question with most WinX programs. Are Blu-Ray Discs (BD) supported? This is a common question with most WinX programs. Are Blu-Ray Discs (BD) supported? burntscarr, you first have to ask the question, "Is there a Blu-ray reader / burner present in the desktop / laptop?" And, is the program designed for Blu-ray? GREAT and easy to use program. I found this here a while ago and purchase this and their Rip product. Use both all the time. I could not be happier! Like the app, but the registration/licensing is lame by requiring a separate download of a "license" zip file. A simple key for the license without a download requirement would have been more appropriate. casperimproved, what's the problem? in the license zip download is a text file with the simple key to be used in the program and they include extra information THEY want to ensure every participant gets including the bonus lifetime upgrades license discount. They do not even require us to enter our email addresses to participate in the giveaway or force us to wait on an email with the key in it that may never arrive due to circumstances beyond anyones control. As far as I am concerned the giveaway is fine (assuming the license we are given remains active indefinatly subject to the conditions they disclose) If I had the need or thought I would ever have the need for DVD-Video backup operation I would not hesitate in installing this giveaway but I don't so I won't. But I recognise they seem to have done things right to the best of their ability while offereing a discounted upsell too. Decided to buy the lifetime upgrade. For only £18.61 it is a true bargain. It all worked as expected – I’ve used it for a long time and made full copies in ISO from every piece of disc I have. Will keep using this software for more new discs. The new version was installed without a hitch on Windows 7. Thank you GOTD and well done Digiarty! I've got the registration but when I open the program there's no "key" symbol for me to put the registration number. I closed and re-opened the program but still no key. Any suggestions other than going through the entire process again? 3. Click "Get License" button, you will get a file with license key. Dennis, I found the same, in the "user" icon located at the top right, it says Registered Copy and no "Key" symbol at the top left area of the installed program. However, for safety i clicked on "Unregister", and then the "key" symbol appeared and so I followed registration instructions... timely (before february 8th). Dennis, I found the same, in the "user" icon located at the top right, it says Registered Copy and no "Key" symbol at the top left area of the installed program. However, for safety i clicked on "Unregister", and then the "key" symbol appeared and so I followed registration instructions... timely (before february 8th). Dennis, sounds like it retained registered status from an existing license when you participated in a previous giveaway of this product. If that is the case you gain nothing by unregisering the old license and re-registering it but using the new license code (assuming it is different to the old licenses code). I installed this (nice) giveaway into the 3 PCs. dilip, <b>To Get Giveaway License, Please: </b> 1. Download this program from GOTD. Then unzip and install it. 2. Go to <a href="https://www.winxdvd.com/event/gotd.htm?gotd2" rel="nofollow">Digiarty official giveaway page</a>. 3. Click "Get License" button, you will get a file with license key and activate guide. 1. The license code should be activated before Feb.8 2019. -	you activate the key after Feb.8 2019. Good software. From the readme file in the licence key email: Tips [IMPORTANT!] 1. The license code should be activated before Feb.8 2019. 2. The code is for personal use only. Please DO NOT disclose it to the internet. 3. The version you get is a Giveaway Version which will not support update. But kindly note the full version and license key will become invalid in the following conditions: -	you reinstall your system -	you reformat your partition where the software is located -	you activate the key after Feb.8 2019. This DVD copy tool is one of my favorite tool to backup my kids DVD. I have used it from the version 3.7. The best feature is backup DVD without quality loss. Some DVD copy tool will compress the DVD into small file, but the quality is really terrible. But it will be nice if WinX can compress a D-9 to D-5 with the quality like D-9 to D-9. TK, Still ambiguous. Can be read both ways. Zen , I find it totally unambiguous there is NO mention of anything that could possibly apply to the giveaway itself in that paragraph, I suspect from the comment usefulness votes that not many if anyone else considers the "Bonus Offer" statement paragraph to be in anyway ambiguous. To make the point even further... there is a countdown timer on the giveaway too and that was never 48hours so you'd have to read it very badly to read it as applying to the main giveaway which IS Free and at no cost and should be lifetime license with NO free upgrades so 70% discount on Lifetime Upgrade License must be a paid for offer and NOT the giveaway... as 70% of Free is still Free how can that make sense? How can you read it that way? What words have you redefined to enable you to make it ambiguous in your mind? Zen , I find it totally unambiguous there is NO mention of anything that could possibly apply to the giveaway itself in that paragraph, I suspect from the comment usefulness votes that not many if anyone else considers the "Bonus Offer" statement paragraph to be in anyway ambiguous. To make the point even further... there is a countdown timer on the giveaway too and that was never 48hours so you'd have to read it very badly to read it as applying to the main giveaway which IS Free and at no cost and should be lifetime license with NO free upgrades so 70% discount on Lifetime Upgrade License must be a paid for offer and NOT the giveaway... as 70% of Free is still Free how can that make sense? How can you read it that way? What words have you redefined to enable you to make it ambiguous in your mind? I am sorry, but I disagree. There is no ambiguity here whatsoever. They have clearly indicated that the time limitation ("Valid only for 48 hours") applies only to the BONUS OFFER. Which means that if you wish to get a Lifetime Upgrade License, you have only 48 hours to take advantage of this special offer (at 70% discount). Zen , I am sorry, but I disagree. There is no ambiguity here whatsoever. They have clearly indicated that the time limitation ("Valid only for 48 hours") applies only to the BONUS OFFER. Which means that if you wish to get a Lifetime Upgrade License, you have only 48 hours to take advantage of this special offer (at 70% discount). Chasm, Whilst what you say is generally true, it is unlikely there is any further technical development of electronic countermeasures to enhance DRM protections on commercial DVD-Video discs with the decline in the retail DVD-Video market as punters migrate to streaming services and mass downloads of BlueRay and Stream rips. Often some commercial DVD-Videos may deliberatly use dual layer discs to make 1 to 1 copying more difficult, requiring the end user to have a drive capable of writing dual layer discs and have blank dual layer discs too. DVD-Video protection systems has just about been completely rendered defeated and the best that a commercial DVD-Video producer can do is make the backup/ripping process as awkward as possible as they know the battle is lost really and if anyone is determined to rip or copy a protected DVD-Video disc they cannot be stopped. TK, NatGeo seems to have a new scheme. All the large VTS_XX_X.VOB files error out with a DOS error IIRC. See "One Strange Rock" as an example. TK, NatGeo seems to have a new scheme. All the large VTS_XX_X.VOB files error out with a DOS error IIRC. See "One Strange Rock" as an example. Jim Jones, is that a *new* counter measure or an existing one where the real DVD player has no user interface so does not halt on a CRC or sector ID error but the synthesised error is engineered to occour at a point in the MPEG2 stream that the "lost" sectors data produces no visible artifacts but causes computer based operations to fall over as they view the DVD-Video as essental data and not just correctable or uncorrectable encoded video that the priority is continuous playback not data integrity. Most decent DVD-Video rippers or copiers cope with intentional faulty sectors where the error may be CRC errors or other sector ID errors etc. "Supports all types of DVDs. It's also the strongest backup tool for old scratched DVD and new 99-title DVD; it can skip blank sector, fix bad sector and read broken sector to ensure the smooth playback." Jim Jones, is that a *new* counter measure or an existing one where the real DVD player has no user interface so does not halt on a CRC or sector ID error but the synthesised error is engineered to occour at a point in the MPEG2 stream that the "lost" sectors data produces no visible artifacts but causes computer based operations to fall over as they view the DVD-Video as essental data and not just correctable or uncorrectable encoded video that the priority is continuous playback not data integrity. Most decent DVD-Video rippers or copiers cope with intentional faulty sectors where the error may be CRC errors or other sector ID errors etc. This should be addressed in this giveaway by the features mentioned in the description paragraph: "Supports all types of DVDs. It's also the strongest backup tool for old scratched DVD and new 99-title DVD; it can skip blank sector, fix bad sector and read broken sector to ensure the smooth playback." TK, I'm not sure. Software that can deal with other protections didn't work here. I don't know what the scheme is.